Scribblebark Design is Deborah’s home art studio. 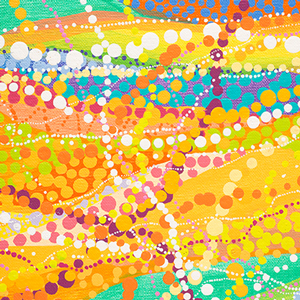 You can buy Australian Aboriginal paintings directly from the artist. Authenticity guaranteed. 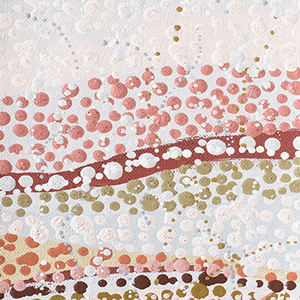 Perth based artist Deborah Bonar has created a unique personal style, creating vibrant acrylic and ochre paintings with immense visual power and complexity. 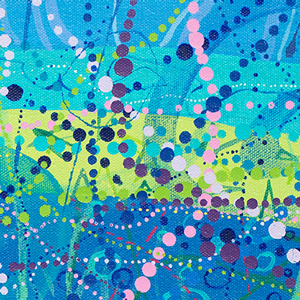 Her paintings are bold kaleidoscopes of vigorous lines and dots. The spontaneous prismatic colours dance upon the canvas, reflecting a sense of positive energy, optimism, balance and harmony. 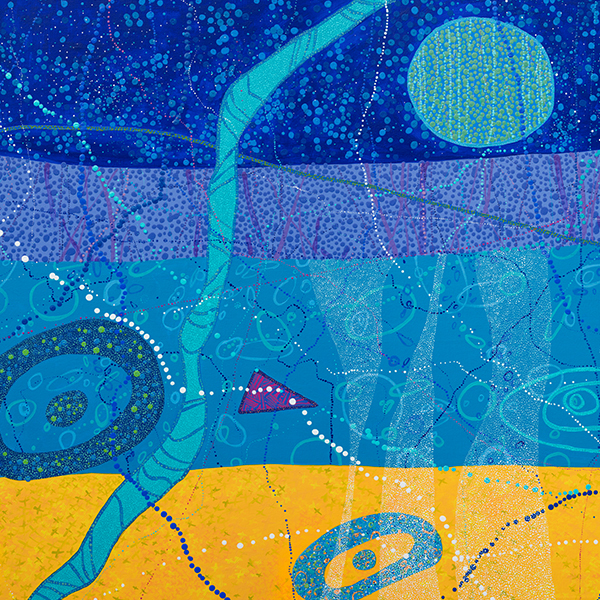 Influenced by her Gija and Yamatji heritage, her artwork demonstrates the importance of place in forming cultural identity and in capturing and fascinating our imagination. Deborah has exhibited widely in WA. 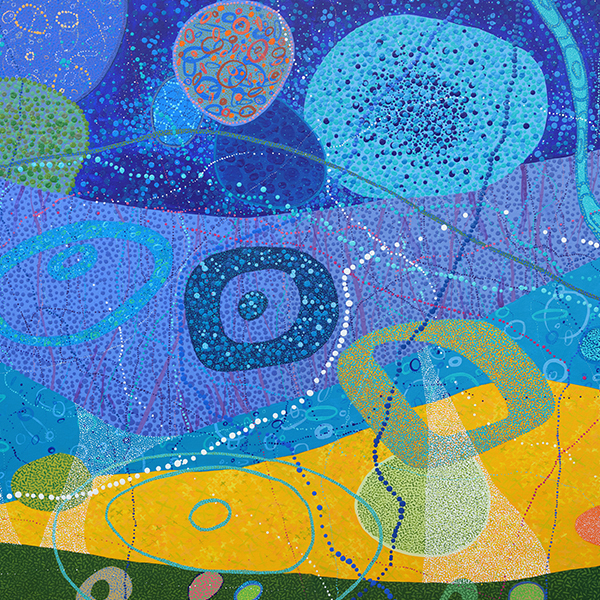 In 2015 she won the City of Belmont Art and Photographic Awards (Perth Airport Prize for Aboriginal Art) and in 2011 she won the coveted Cossack Art Award (WA Indigenous Artist). 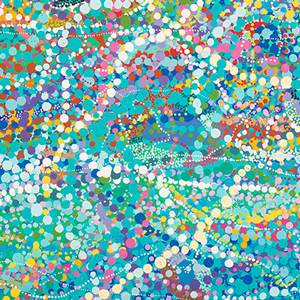 Her work is held in both private and public collections including the City of Perth, City of Kwinana, Laing O’Rourke Australia, Tabec, Hanssen Pty, Hawaiian, KPMG, Celebrate WA and Credit Suisse Art Collections. 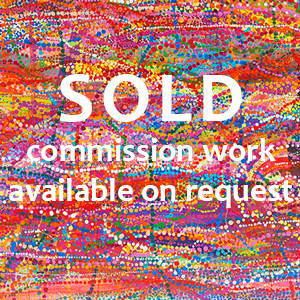 Deborah has completed a number of public art commissions. 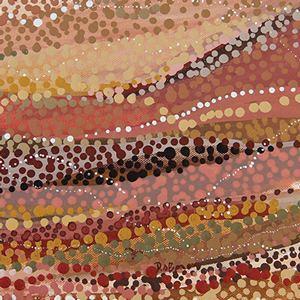 In 2017 she completed a Percent for Art Project, Pundulmurra Landscape for the Pundulmurra Health and Community Services Training Centre, Pilbara Institute, in South Hedland. In 2016 she painted an outdoor mural for City of Kwinana at Harry McGuigan Park, Medina. In 2015 she created two major artworks, Birth Place and Childbirth for St John of God Midland Hospital. In 2014 she completed a Percent for Art Project, Healing and Wellbeing for the South Metropolitan Area Health Service. 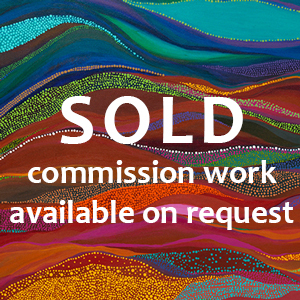 Through collaboration, she has created notable public artworks: Welcome to Country for the Fiona Stanley Hospital; the Munday Wall at Cooling Brothers; the Port Coogee-Beeliar Boodjar artwork for Australand; Living Waters for Cockburn Integrated Health; and Swan River Life for Fraser's Property Queens Riverside Q1. Deborah conducts interactive corporate workshops for WA businesses. She is also experienced with working with schools on community art projects, and available to run art workshops or a community canvas at special events like birthday party celebrations. 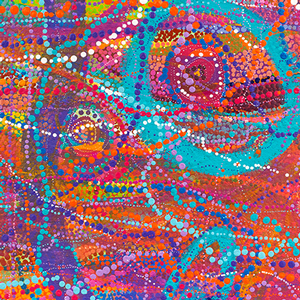 Community canvases, residences and interactive art workshops keep Deborah busy, particularly during NAIDOC celebrations and local festivals.